The named project, very important for the Georgian Energy Sector, was officially launched in January 2003, after a coordination meeting with the participation of the Georgian partners in Rimini, Italy. 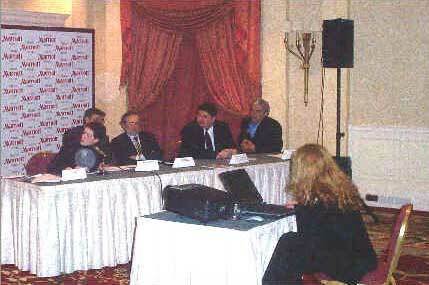 On 10th March 2003, Ministry of Fuel and Energy of Georgia and Italian Embassy together with the Italian companies: “Petroltecnica”, “TAE” and C.F.R gave a presentation of the new Italian –Georgian joint project “G.E.ORG.I.A SYS_ Gas & Electricity ORGanization Interactive Advanced SYStem” in the conference hall of the “Marriott” hotel. During the conference various issues related to the Georgian energy sector as well as the results of the first phase of another Italian –Georgian joint project “Investigation and Monitoring of Dams and Hydroelectric Basins in Georgia –CIS” have been discussed. The meeting was opened by the Minister of Fuel and Energy of Georgia-Dr. David Mirtskhulava, who expressed his satisfaction with regards to the starting a new Project and thanked the Italian Ambassador-Mr. Pipan and Dr Mauro Piccolo for their efforts in the implementation of the mentioned project. 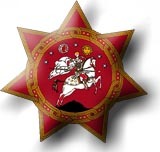 Minister also expressed the hope that the collaboration between the Georgian and Italian specialists would lead to the successful fulfillment of the set objectives. H.E Pipan-Italian Ambassador in his address to the meeting noted that the mentioned project would promote not only the development of energy sector in Georgia, but also the business relationship between the two countries and new in different fields. The project represents a unique chance of partnership between the Italian and Georgian experts – the opportunity to form solid consulting consortium for South Caucasus energy companies. Minister’s and Ambassador’s welcoming addresses were followed by the project presentation. The first part of the presentation was devoted to the general overview of the “G.E.ORG.I.A SYS” Project. For the first time the project idea was expressed by the Georgian Ministry for Fuel and Energy. Later on GGIC-Georgian Gas International Corporation and G.U.D.C. representatives contacted the Italian Embassy and the Italian Company PETROILTECNICA to explore the possibilities of receiving technical assistance for monitoring and investigating the electric and gas distribution systems of the Georgian energy sector. It should be noted that this project as well as the previous one- focused on investigation and monitoring of dams and hydroelectric basins in Georgia, received a big support from the Italian Embassy. Within the framework of the law 212 for the Internationalization of Enterprises, this project was co-financed by the Italian Ministry for Foreign Commerce. The selection criteria for the energy field were: the poor condition of the gas and electricity distribution systems, the importance of the mentioned networks for the country, urgency of their investigation and monitoring, complexity of associated technical issues requiring the international expertise. During the meeting representative of the Ministry of Fuel & Energy of Georgia – Mr. Antadze touched upon the issues of actual commercial and technical losses in gas and electricity sectors in Georgia. The big portion of energy wastes are caused by old and damaged systems. The main goal of the project is the investigation and maintenance of the mentioned systems. Selected methodologies will give the opportunity to detect leaks, damaged points and existing illegal connections, that are the main reasons of a significant commercial and technical losses in energy sector. Different Georgian and Italian institutions, having wide experience in energy management issues are involved in the project. 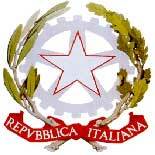 Italian Partners: Petroltecnica (Promoter); Consorzio Ferrara Ricerche; TAE-Trentina Applicazioni Elettroniche. The project G.E.ORG.I.A SYS activities would cover two main directions - Gas and Electric sector. Implementation of the abovementioned activities will lead to the improvement of service quality and reduction and optimization of the maintenance costs. Precise detection and diagnostic detection of damaged points will give the possibilities of timely maintenance service and provide for the development of the system safety and reliability. In case of gas sector special attention will be paid to transportation system, mainly to the legs that could be considered as representatives of the situation of the network. The methodologies, providing detection of the leakage points, remote control techniques and corrosion control will be applied. The detailed description of the project, planned activities, utilized new methodologies and modern technologies were discussed during the presentation. The distribution of the project partners’ human resources involved in the project is as follows: “G.E.ORG.I.A SYS” - 1900 man days for the Georgian partners and 1400 man-days for the Italian Consortium, as well as 240 man days for training courses of the Georgian specialists in Italy. The main goal of the planned training course is not only the familiarization with the theoretical part of the chosen methodologies, but it also aims at acquiring of technical skills by the personnel. On the other hand, this event will give to the Georgian and Italian specialists the possibilities to share experience, find out solutions on different issues as well as develop new ideas and opportunities for the future collaboration in the energy sector.